If you are looking for dental care to restore the health and functionality of your teeth, then you are in the right place with Perrigo Dental Care. Our restorative dentists near Birmingham, AL, have extensive experience with all facets of restoration dentistry. 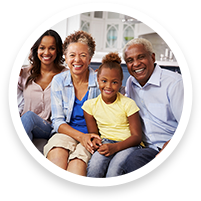 Whether you need a small dental filling, full mouth reconstruction, dental crowns, dental implants or dentures, we work to ensure that you leave our Hoover dental office with your healthiest, happiest, and most beautiful smile. Our restorative dentists near Birmingham, AL, provide 5-star restoration dental treatments, including dental fillings, dental crowns, dental bridges, dental implants, implant-supported dentures in Hoover, Vestavia Hills, Mountain Brook, Homewood, Pelham, Alabaster, Helena, Calera, McCalla, Trussville, Springville, Irondale, Birmingham Red Mountain area, Chelsea, Meadowbrook, Wine Ridge, Indian Springs, Leeds, Moody and Clay-Chalkville, AL.